Australian news outlets ran a series of reports in June exposing the Chinese Communist Party’s (CCP) infiltration of Australia’s political system. The joint investigation by Australian Broadcasting Corporation (ABC) and Fairfax Media found that Chinese businessmen with ties to Beijing had in the past decade donated millions of dollars to the major political parties in an attempt to sway national policy and even sabotage Australian national interests. The Chinese communist regime further extended its influence abroad by manipulating local Chinese communities, suppressing Australian-based Chinese dissidents, co-opting Chinese student associations, and controlling Chinese-language media, according to the investigation. Prime Minister Malcolm Turnbull has since launched a major inquiry into Australia’s espionage and foreign interference laws, according to the ABC. The topic of CCP infiltration is one that former Chinese consular official Chen Yonglin is very familiar with. Disillusioned with the CCP, Chen defected to Australia in 2005 and proceeded to expose the CCP’s subversive actions, an episode that The Epoch Times covered extensively. In a recent interview with this newspaper, Chen expounded on the latest CCP operations that were uncovered by the Australian media. Chen Yonglin said that the CCP plans to “infiltrate Australia from all directions so that Australia would eventually cooperate strategically with the CCP,” and veer away from its alliance with the United States. The CCP has employed similar tactics in other countries, “but with Australia, the CCP has managed to achieve significant results,” he added. The recent Australian media investigation illustrates Chen’s point. In 2015, Australia’s domestic spy chief, Duncan Lewis, warned the nation’s political parties that some of their major donors—including, for instance, wealthy property developer Huang Xiangmo—were closely tied to Beijing, according to ABC. Huang Xiangmo, a wealthy Chinese donor included in Lewis’ brief to Australian party leaders, had contributed over $400,000 (AU$525,000) in political donations to the Liberal Party and the Labor Party between 2014 and 2015. Huang and his associates had also donated $37,900 (AU$50,000) to the campaign financing vehicle of then-Trade Minister Andrew Robb on the same day the China-Australia Free Trade Agreement was finalized in 2014, according to disclosures from the Australian Electoral Commission. In 2016, Huang pledged $303,160 (AU$400,000) to the Labor Party, but backed out in June after the Labor defense spokesman criticized Chinese policy in the South China Sea. The next day, Labor Party Senator Sam Dastyari appeared in a media event with Huang and said that Australia should not interfere with China’s activities in the South China Sea. “[Dastyari] openly advocated for the CCP and contradicted the foreign policy of his own party, damaging Australia’s national interests,” Chen the former Chinese diplomat said. Huang and another Chinese donor were later revealed to have paid for some of Senator Dastyari’s expenses in the past, including a travel expense and a $3,788 (AU$5,000) legal bill in 2014. Dastyari later resigned from his position on Australia’s shadow cabinet. The impact of CCP bribery “can be seen with a large number of decision-makers in the Australian government, so the infiltration is quite serious,” Chen said. “Aside from political contributions, a larger amount was actually being handled out as secret bribes,” including lavish tours around China, Chen added. 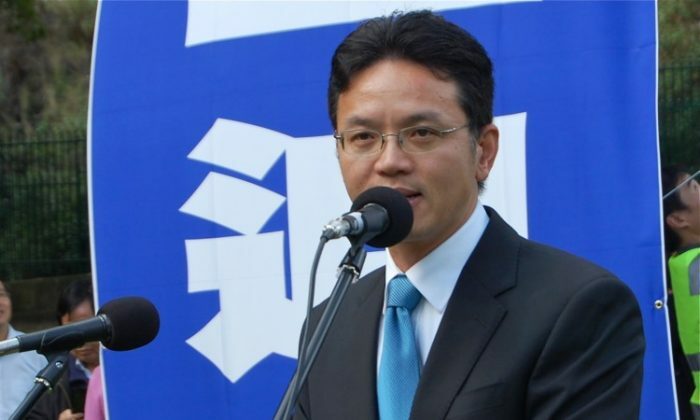 According to Chen, when the son of Henry Tsang, a former member of the New South Wales Legislative Council, wanted to study abroad in China, the Chinese consulate covered all his tuition and living expenses. For instance, in 2015, Landbridge Group, the company helmed by Chinese billionaire Ye Cheng, paid over $383 million (AU$506 million) for a 99-year lease of the Port of Darwin. Additionally, former Trade Minister Andrew Robb started working as a financial consultant at Landbridge Group right after retiring from the Australian Parliament, and commanded an annual salary of $666,000 (AU$880,000), according to the ABC. “First, a Chinese company took over Darwin Port for 99 years. Second, China was free to invest substantially in strategic industries as well as agriculture and livestock farming. Third, it pushed forward the ratification of a bilateral extradition treaty, despite concerns over the differences between the two nations’ judicial systems,” Chen said. The extradition treaty with Beijing was rejected in May this year because lawmakers objected to China’s inadequate protections of human rights and rule of law. “The dissenting voices were so overwhelming that Prime Minister Turnbull had to revoke that treaty proposal,” Chen said. The Chinese regime continues to target Australia’s resources, Chen added. Chinese state-owned firms, the CCP elite, and CCP-affiliated Chinese businessmen have made extensive investments in Australia’s agriculture and mining sector. Chinese buyers have also dominated real estate investment in Australia, and have driven up Australian housing prices in the process, Chen said. The CCP has for many years maintained a vast intelligence network in Australia, according to Chen Yonglin, the former Chinese diplomat. This network has been tapped for intelligence gathering, as well as commercial and military espionage. By infiltrating overseas Chinese communities and organizations, the Chinese regime aims to bring them all in line to form an overarching “united front” that is aligned with the CCP’s interests. Two CCP organs, the United Front Department and the Overseas Chinese Affairs Office, spearhead the Chinese regime’s efforts to control ethnic Chinese living abroad. An opaque organization, the Australian Council for the Promotion of Peaceful Reunification of China, ensures overseas Chinese toe the Party line, according to Chen. The Council is headed by the Chinese political donor and businessman Huang Xiangmo. The Chinese regime also recruits informers from within the Chinese community to keep a close eye on ethnic Chinese dissidents and activists in Australia. Tony Chang, a pro-democracy activist and university student in Australia, had suspected for months that he was being monitored, according to Australian investigative documentary television program Four Corners. Chang’s fears were confirmed when a family member called and said his parents in China had been harassed by state security agents because of their son’s activities, Chang told Four Corners. Chen Yonglin said that the Chinese consulates mobilize Chinese students through Chinese students associations. For instance, when Chinese Premier Li Keqiang visited Australia in March, thousands of Chinese students were on hand to welcome him in Canberra. Lupin Liu, President of the Canberra University Students and Scholars Association, told Four Corners that the Chinese embassy sponsored the rally by providing transportation, flags, food, and legal aid. Chen said that the CCP has managed to muddy Australian politics with its funneling of large sums of money to local politicians. Australian democracy, Chen added, is being slowly eroded by the CCP’s cash.